The Chrysler Museum of Art is pleased to announce Multiple Modernisms - an exhibition of modern and contemporary art that features the work by Arakawa, Untitled, 1963 (Gift of Walter P. Chrysler, Jr.). This reinstallation of the Chrysler Museum’s McKinnon Galleries highlights pieces in the Museum’s permanent collection through an examination of differing narratives about the history of modern and contemporary art. The exhibition shows similar approaches between artists, many who worked simultaneously or successively. It also explores contradictory ideas influenced by politics and socioeconomics. “Multiple Modernisms takes as its thesis that art history is messy. It is not one art practice progressing into another in a clear, straight manner. Instead, artists had different theories about what modern and contemporary was, what art should present to society and what impacts it could have. The exhibition also emphasizes that certain trends in art practice, such as representing the body or abstraction, were repeated in various manners throughout the 20th and 21st centuries,” said Kimberli Gant, Chrysler Museum’s McKinnon Curator of Modern & Contemporary Art. Multiple Modernisms pairs internationally renowned artists like Jackson Pollock and Georgia O’Keeffe with those of local or regional acclaim like Norfolk artist Vic Pickett. The exhibition also showcases work by female artists, artists of color and artists from other countries. “I wanted this presentation to show the breadth and depth of the Museum’s collection. It was important to show there are alternate narratives to the history of contemporary art because not all artists or genres were or are embraced within the canon. Art history is fluid and constantly being revised. I want to highlight that,” said Gant. Multiple Modernisms is guided by six themes including Sculpted Figures, The Gesture, Invoking Geometry, Refined Dynamism, Layered Perspectives and (Hyper) Reality. Sculpted Figures features three-dimensional interpretations of the human body. The Gesture presents works that emphasize the artist’s expressive mark on the canvas. In Invoking Geometry, viewers see images of shapes and patterns. Refined Dynamism focuses on works about movement within a restrained color palette, while Layered Perspectives presents artistic interpretations of major events, symbols, mythology and society. (Hyper) Reality includes works presenting an extreme version of reality. 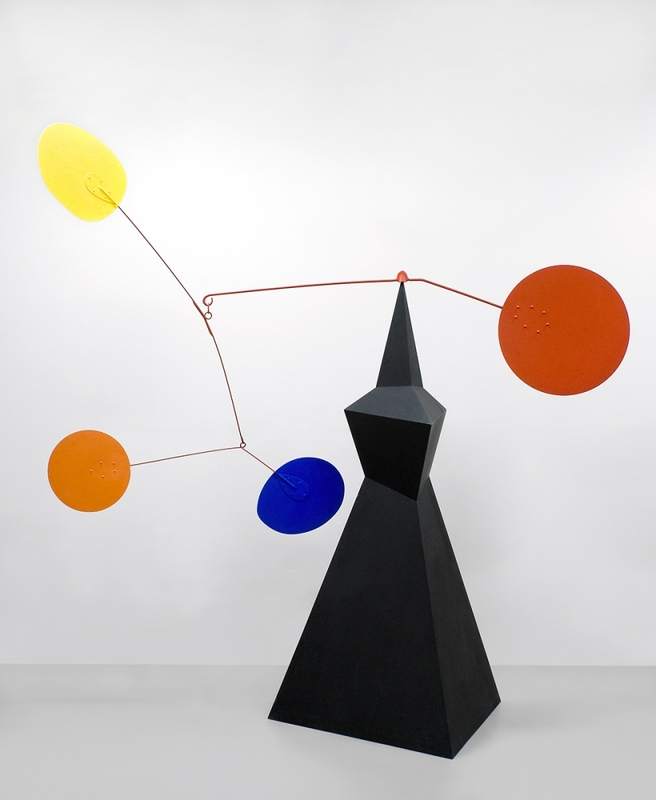 “In organizing the exhibition by themes, viewers will see how artists were influenced by each other, created similar or conflicting perspectives on the same event and experimented with the same techniques or ideas across time and geography,” said Gant. The modern and contemporary art exhibition opens November 16 at 6 p.m. with a 1960s-themed reception. The opening reception is free for members, $5 for all others.